The win marked the first time the Gryphons clinched a spot in the title game. 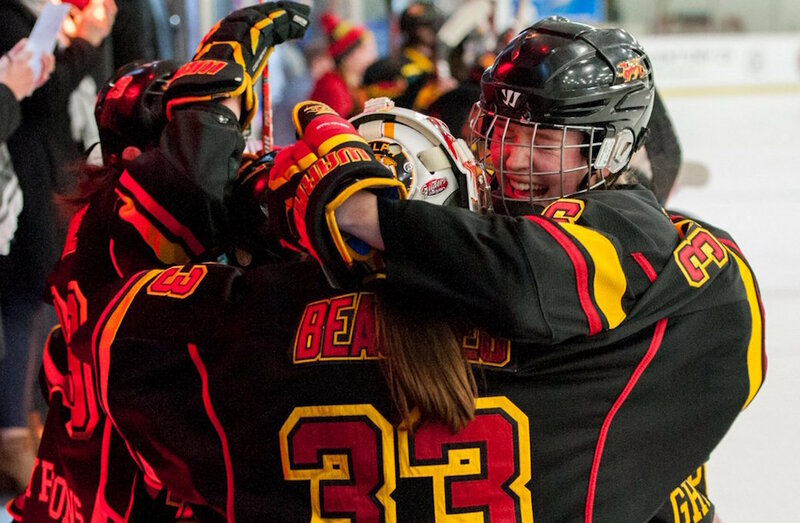 The Gryphons drained the life of their opponent in a five-goal first period and never looked back. What’s more impressive, is that no player recorded more than a point in the win, as their balanced attack was on full display. Mallory Young, Claire Merrick, Ashlee Lawrence, Molly Crossman and Madison Melo all scored in the first 20 minutes. 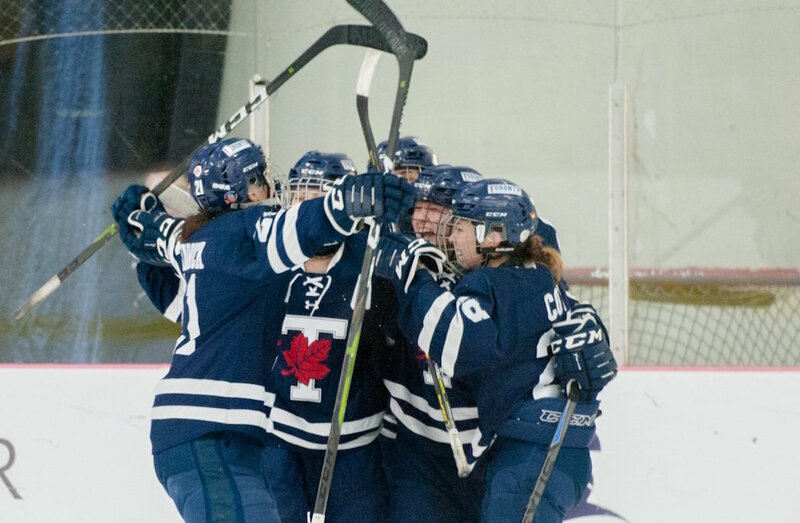 Guelph wasted little time and stunned the Carabins with a goal just 34 second into the game. The puck cycled to Young, who rifled a shot from just inside the blue line to beat Aube Racine. The Gryphons continued to pressure the Montreal defence and at 6:15, Merrick took a nice feed from Gabrielle Smyth and guided the puck past Racine. On another odd-player rush 1:36 later, Sydney Davison came down the right side and slid a pass to Lawrence, who wristed it home. A little give-and-go action between Crossman and Nicole MacKinnon behind the net led to the fourth goal, as Crossman accepted the puck in front and deposited the goal at 11:31. Guelph added another one late and went into the intermission with a commanding 5-0 lead after Karli Shell’s drive to the net led to Melo’s goal on a rebound. WHAT A PERFORMANCE from @guelph_gryphons! The Gryphons defeat @Carabins on the score of 5-0 secured since the 2nd period. Looking to get back in the game, Montréal managed to outshoot their opponent in the middle frame, but was denied each time by Valerie Lamenta, who turned aside all 10 shots she faced in the period. Lamenta continued to play big between the pipes and recorded a 31-save shutout after a perfect third. The Gryphons await the winner of semifinal No. 2 featuring Alberta and McGill. The gold medal game begins at 5 p.m. ET / 2 p.m. PT.